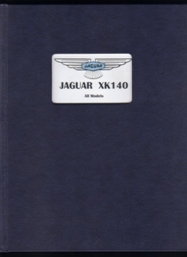 This includes J15(XK140) and J18 and J19 (overdrive and automatic) parts listings. Same as the hardbown copy but with spiral bind and soft cover--perfect for that boot copy. Please note illustration is for hard copy.